For more than 100 million global subscribers, Netflix is more than just a streaming service where you catch up on the latest original movies, check out the newest buzzed about series, or relax with an old favorite for the hundredth time. (Batman Begins isn't going to watch itself.) No, for certain truly dedicated Netflix enthusiasts, the service is like a LEGO set to be tinkered with and improved upon. By using the latest hacks, you can truly make Netflix work for you. How exactly do you optimize your Netflix experience? Besides reading all of our genre-based recommendations and keeping tabs on what's added to the site every month, the best way to get the most out of Netflix is to trick it out with the tips and hacks you'll find below, which shouldn't require too much technical know-how to carry out. May you never leave your house again. Maybe you don't want your significant other to know you finished Orange Is the New Black without them, or you'd prefer that your late, late-night decision to watch The Package not interfere with the subsequent recommendations served up by Netflix's algorithm. Not to worry -- you can selectively delete your history. Head to this page, where you'll see everything you've watched in chronological order, and remove any and all of your misdeeds. 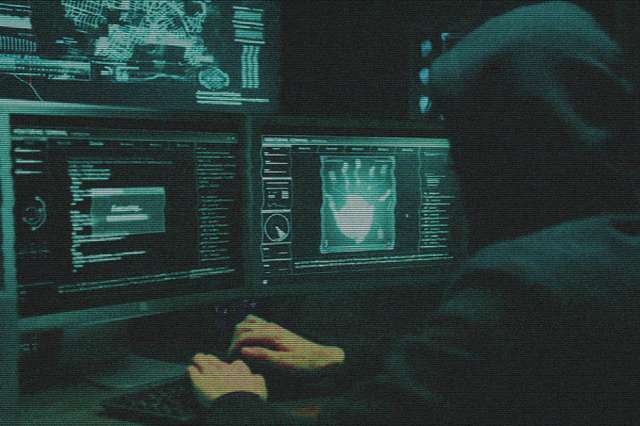 And if those misdeeds extend into the great streaming beyond, here's how to cover your tracks on YouTube, Hulu, Amazon, and more. If you want to instantly improve your bingeing, we suggest checking out some of the special features available as Chrome extensions. IMDb Ratings for Netflix is a good example of a simple, straightforward Chrome extension that does exactly what it promises: adds IMDb ratings for shows and movies in a pop-up in the right-hand corner of a thumbnail when you hover over a title. It's that extra data point that might help make your viewing choice easier. There are countless other Chrome extensions out there -- including ones we'll point out in other entries below -- but watch out for some that haven't been updated in years. If they haven't kept up with Netflix's changes, it might not be useful anymore. It's often best to stick with ones that delivers a small improvement rather than one that promises to "transform" your experience. 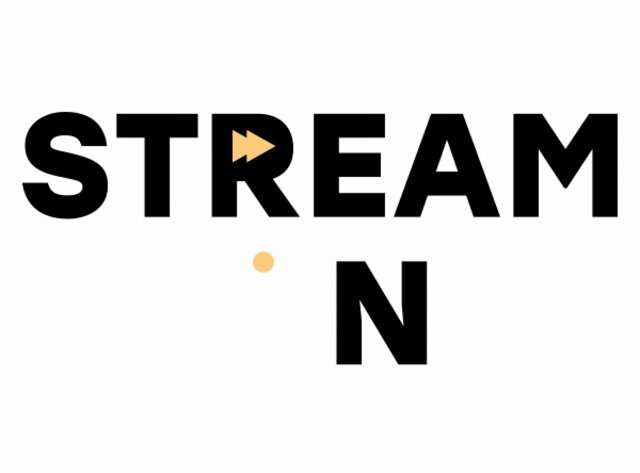 One of the biggest streaming obstacles is the necessity of a high-quality internet connection. Late in 2016, Netflix changed everything by rolling out the ability to download select movies and TV shows, which means you can take some of your queue with you without worrying about whether your flight's Wi-Fi will be up to snuff. You'll need to snag the mobile app and factor in that downloading requires a bit of time and storage space, but soon you'll be watching great movies and shows on the go. Do you ever wish Netflix had a "random" button, so you didn't have to spend the prime of your life skimming over 4,000 titles, only to settle on rewatching Frasier for the thousandth time? 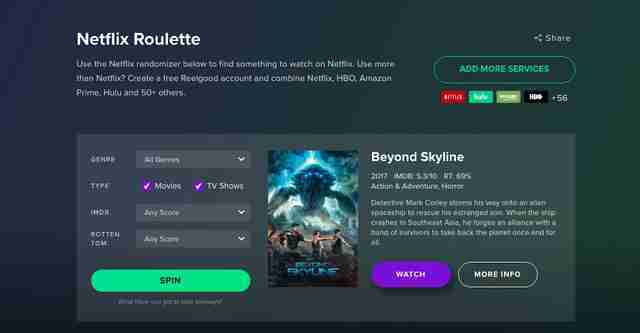 Netflix Roulette provides that wizardry, and much more: You can filter by director, actor, and keywords to help hone your searches. All-day Dax Shepard marathon, here you come. Netflix's bland categories like "Action" or "Romance" just don't cut it, which is why we've taken it upon ourselves to sort our own damn categories: We've got the best thrillers, best documentaries, best horror movies, and so many more. But if you want to get even more specific, check out What's on Netflix. It has a veritable encyclopedia of 20,000-plus weird, wild, and interesting sub-genres. They even provide ID codes that can be added to the end of your Netflix URL, sending you straight to the promised land. Try 6384 for "Tearjerkers" if you're looking to have a nice cry. Titles on Netflix come and go, with each month yielding a new crop of gems. When the 1st rolls around, check our regularly updated list of the service's movies and TV shows to see what's available. And if you want to know what's coming later this year, bookmark our frequently updated 2018 calendar, which notes the premiere dates for all of Netflix's "Originals" as they're announced. Buffering time is the scourge of bingers everywhere. How can you survive that testy confrontation with a drug dealer on Ozark if your image keeps freezing up? There are some workarounds here if you're watching on a computer: While playing a title, hold down Ctrl+Shift+Opt/Alt+S to open up a "hidden" menu with buffering fixes and other streaming options. If you're streaming on Wii, Xbox 360, or PlayStation 3, use the directional pad and click up, up, down, down, left, right, left, right, up, up, up, up to access the same menu. If you're watching on an Apple TV or other streaming device, head to the Playback Settings section of your account page, and select "Auto" or "Low," which should load your content (albeit in lower quality) when your connection dips in strength. Or, if you're not into all that "secret menu" stuff, you can just make sure your settings and internet are optimized for the best streaming possible. Another way to improve your video quality is streaming during less busy hours (like early in the morning, late at night, etc. ), according to a Digital Trends report. During the study, they found video quality and speed improved significantly during hours when fewer people were logged in and watching. Finally, a legit excuse to quit your job and watch some high-quality Kimmy Schmidt all afternoon. If you've unwittingly shared your Netflix password with half your social circle and all of your former flames, their terrible taste and viewing habits may be totally screwing up your algorithm. If you want, you can ban them all from piggy-backing on your subscription in one fell swoop by going to My Account > Sign out of all devices. There's something slightly passive-aggressive about that "Are you still watching?" message that pops up during an hours-long binge. The handy Chrome extension Never Ending Netflix prevents that from appearing in the midst of your glorious eight-hour marathon, letting you reach the end of Wild Wild Country in one wild, wild sitting. Wouldn't you be embarrassed if the plan you were paying for included HD or Ultra HD streaming, but you weren't even using it? This is the case for many Netflixers, who neglect to check out their streaming settings -- just go to Netflix.com/HdToggle to make sure you're always set up for HD viewing by selecting "High." WARNING: If you have a bad habit of getting Netflixy outside of Wi-Fi zones, this will seriously destroy your data plan (HD videos use up 3-7GB of data per hour). If you're watching on your phone without an unlimited data plan, opt for "Low." Also, if you're looking to disable the "play next episode automatically" function and learn who did what in the credits of each Narcos episode, this is the page where you can do it. As Netflix has introduced more excellent foreign language shows to its ever-expanding library, dubbing has become more of an issue. If you sit down to watch an episode of Dark or Sacred Games, you will be given the dubbed version by default -- and the dubbed version is often very, very bad. Netflix insists that their data supports the idea that viewers prefer the dubbed version, but if you're reading this list, we hope you hate the dubbed versions as much as us. Turn on the subtitles by clicking on the audio and subtitles button in the bottom right hand-corner and select the audio in the "original" language and choose subtitles in your preferred language. 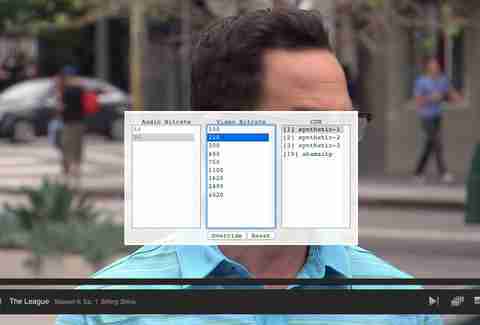 Now that you've got the dubbing off, it's time to optimize your subtitles. Even the biggest supporters of Fellini and connoisseurs of Kurosawa might not realize you can adjust the default Netflix subtitles to change color, size, font, and more -- based on your preferences, and what fits the title you're viewing. All you need to do is go to Your Account > Your Profile > Subtitle Appearance, and prepare to soak up all that delicious culture. - F will give you full screen; Esc will take you out of it. - PgDn pauses; PgUp will play. - The spacebar will also pause and play. - Shift + Right Arrow will fast-forward; Shift + Left Arrow will rewind. - M should toggle your mute button, depending on your computer. This one might sound like a solution for a fake problem, but "streamer's neck" can be dangerous for people who binge in bed with their computers. Netflix Flip is a Chrome extension that turns the image 90 degrees so you don't have to arrange your pillow in a weird way or use your hand to hold up your head. Say goodbye to neck pain! The technology team at Netflix is always looking for new ways to improve the service by experimenting with new elements and carrying out extensive A/B testing. If you want to see some of those new features before your friends do, you can opt-in to the testing that they're doing behind the scenes before the big public roll-out occurs. All you need to do is go to "Account," then "Settings," and adjust the "Test Participation" toggle in there. Think of yourself as a brave Netflix explorer. Recently, Netflix rolled out over 100 new profile icons, which allow users to give their profile icons a funny mustache or make them look like a Strangers Thing character. It's a goofy adjustment, but if you don't share your account with other friends or family, the profiles can also be useful if you want to trick the algorithm into thinking you have different personalities. 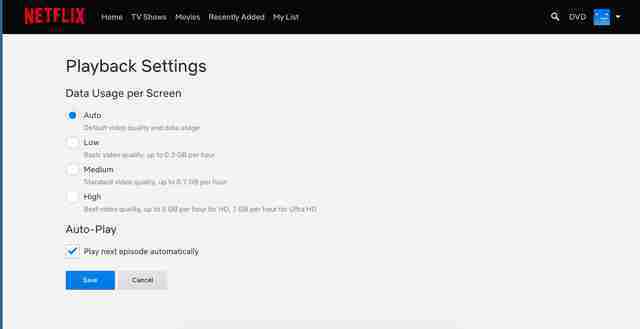 It's especially useful if you sometimes use Netflix to watch "bad" movies, but don't want to see how that changes your home page. Maybe you use one profile for horror movies? Maybe one is for rom-coms and documentaries? Maybe one profile only watches the show White Collar? We're not here to judge. While it's a far cry from the special features extravaganza of the DVD era -- seriously, when will Netflix let filmmakers put up audio commentaries? -- there are ways to access little behind-the-scenes features, trailers, and other ancillary materials about some of your favorite shows. Click on the "Trailers & More" option, and you'll find interviews and recaps on shows like Orange Is the New Black and GLOW. If you're in a long-distance relationship and waiting to finish Jessica Jones until you and your significant other are reunited, services like the Chrome extension Netflix Party and the platform Rabbit are effective alternatives to FaceTime and Skype. Rabbit allows you to launch a window that can be viewed by all the parties in the chat -- inside that window, you can do whatever you wish, like stream your favorite shows and movies. Essentially, you latch onto someone else's viewing, with another window open to video chat and message in real time. If you're tired of staring at a screen or you want to watch without really watching, this might be a game-changer. Next time you're watching your preferred title, hit the subtitles icon on the utility bar, move over to the audio tab, and select "Audio Description." This will prompt a narrator to describe the action happening onscreen -- in a way that's surprisingly not as distracting as it sounds -- and you'll be able to multi-task, sleep, or even take a walk outside while not missing a beat of your favorite show or movie. Not all titles offer this feature, but you can view a list of the ones that do here. Happy bingeing.